Staircase of the Rookery in Chicago. America at the end of the 19th Century. It was a time of rapid growth and intense poverty. A time filled with legendary kings of industry, and forgotten dirt farmers. An era that boasted its breathtaking architecture, yet hid its paperboard shanties. The last days of the 1800s were filled with deep-seeded serious issues that were barely hidden by a glint of gold. Mark Twain called it The Gilded Age. Most of America was booming, especially in the North and West. The Second Industrial Revolution and the Homestead Act had attracted immigrants from around the world with stories of free land and streets paved with gold. The transcontinental railroad had opened the country to nationwide trade, settlement, and endless opportunity. In rural areas, extensive mining brought income to settlers and workers without farms or ranches. Increased mechanization in the factory system lured thousands of workers big cities, where opportunistic and unscrupulous business practices subjected thousands to dangerous and unregulated working conditions. And European investment capital poured into the American financial sector, creating wealth unlike the growing new nation had ever seen. 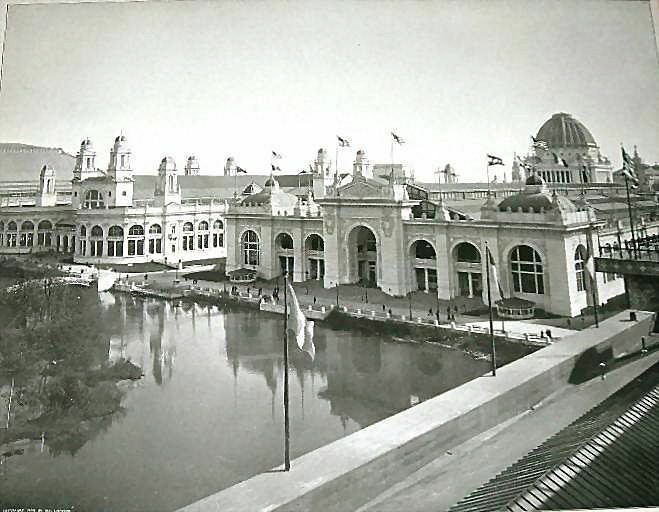 Panorama of the 1893 Chicago World’s Fair. Poster available for purchase here. 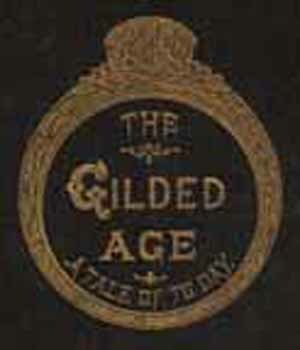 Mark Twain’s use of the word “gilded” was significant. Although fortunes were, indeed, made and dreams were, in fact, realized for some, they were few and far between. The widening gap between the very rich and the very poor widened— and the paper-thin glittering gold of the gilded surface masked serious corruption, social problems, and devastating poverty below. In 1889, Dakota Territory officially became the states of North and South Dakota. Caroline Ingalls’ oldest daughter, Mary, had returned to her parents’ home in Desmet, South Dakota from the Blind College in Vinton, Iowa. Though she had a good, solid, college education, she returned home to live with her parents, and had no other plans for her future. Caroline’s second daughter, Laura, and her husband, Almanzo, had barely lived through the 1880’s. A severe bout with diphtheria nearly killed them both, and shortly after their recovery, the double blow of the death of their newborn son and the devastating total loss of their house from a fire took whatever optimism they may have had left. History also suggests that Almanzo may have suffered a stroke during his recovery, an episode that left him with a limp that impacted his gait for the rest of his life. In desperation, Laura and Almanzo sold their property and livestock and left Desmet, determined to make a fresh start in Westville, Florida. 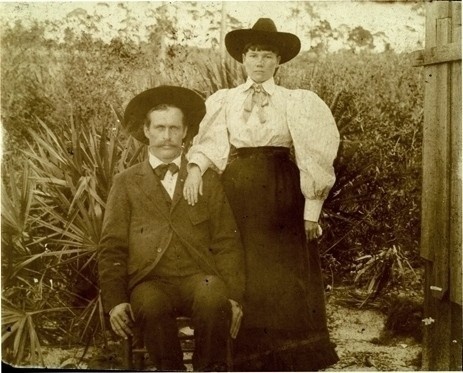 Laura and Almanzo Wilder during their brief turn as Floridians. (Photo Credit: One of 50 or so different posts on Pinterest. I believe it originated at Pioneer Girl Project. Without Laura, the farm was too much for Charles to work by himself. His tomboy daughter had always actively farmed alongside him while Caroline and his other daughters carried out the more traditional “women’s work.” Recent industrial advances in farming equipment and automation, years of drought, and serious economic depression had made it impossible for him to make a living as a farmer, especially by himself. Caroline and Charles sold their homestead, and with their daughters Mary, Carrie, and Grace, moved into the house Charles had built in town. There were plenty of jobs available for the skilled carpenter, and he became more active with the local Freemasons. Mary helped with the household chores and Carrie held several different jobs in town. She was a teacher, a clerk at the post office, and became a skilled typesetter at the Desmet Leader. Grace attended the Desmet school. 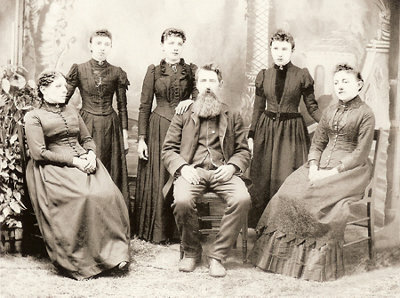 The Ingalls family settled into a small, hand-to-mouth, comfortable life. Helen Ekin Starrett continued her life as a single mother with seven children– though her oldest had already left the nest. 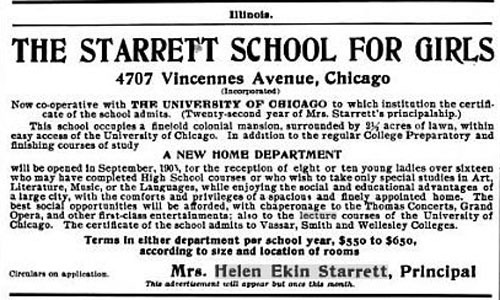 Her school, the Kenwood Institute, was advantageously straddled between the affluent Chicago suburbs of Hyde Park and Kenwood and as one of the few private, classical, college preparatory schools in Chicago—and the only one in the Hyde Park/Kenwood area, Helen could provide an unparalleled education to girls from well-to-do families. Even though Kenwood Institute school was well-known and attendance was respectable, its early days weren’t particularly profitable. Helen needed help. 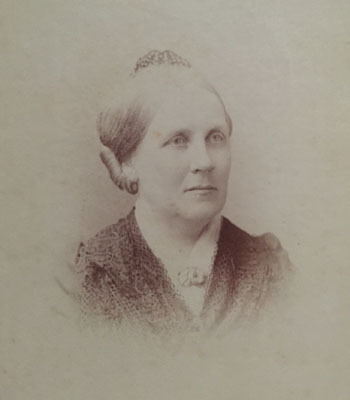 Katherine was away at Vassar, but her younger daughter, also named Helen, returned from the University of Wisconsin at Madison to help run the school. During the financial hardship immediately following William Aiken Starrett’s death, Helen brought in a partner, Miss Annie E Butts. Miss Butts had been a teacher at the Dearborn Academy in Chicago, and had the financial means to keep Kenwood’s door open during the lean years. Miss Butts’ investment would also allow Helen to pay off her debts and spend more time writing and public speaking. The school grew steadily, and by the early 1890’s, it was one of the leading classical schools in the country. Kenwood Institute’s connections to Vassar, Wellesley, Smith, the University of Wisconsin, and the University of Chicago were so strong that their graduates were granted acceptance without admission examinations. 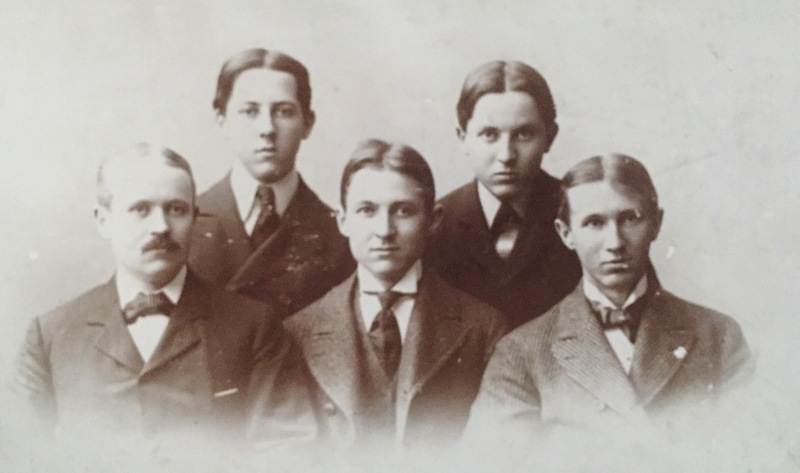 When the three oldest Starrett boys, Theodore, Paul, and Ralph, dropped out of school a decade earlier to help with family finances, they bounced around at odd jobs for awhile. Theodore landed a job with WW Boyington, arguably Chicago’s most famous architect of the era. He then moved on to the legendary firm of Burnham & Root as a draftsman, where he trained as an engineer. As an engineer with Burnham & Root, Theodore played an integral role in the development of modern steel building construction. He married Belle Ostrander in 1889 and had two sons. 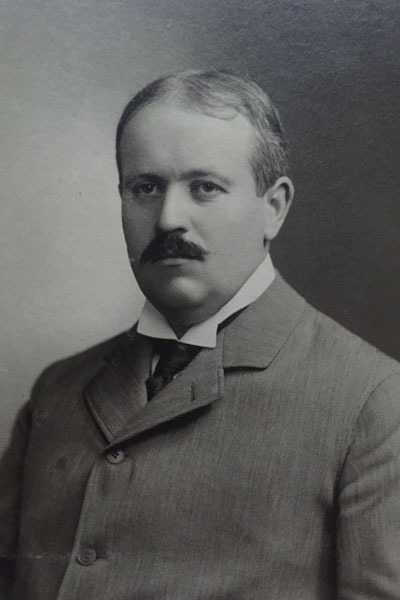 By 1890, Theodore had such an extensive knowledge of steel construction and was well enough connected, that he went into business for himself. Before long, he was putting up landmark buildings of his own. One of his earliest projects was the Hyde Park Hotel, which, with its electric lights, electronically controlled elevator, telephone service, and steam heating system became an example for scores of hotels to follow. Helen’s third son, Ralph, quit his job-hopping, and joined Theodore in his booming business. 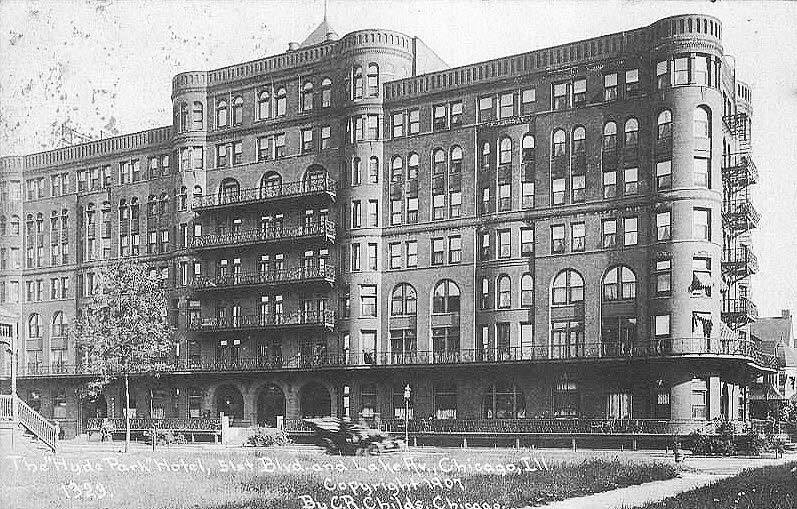 One of Theodore’s first projects– the Hyde Park Hotel at 21st and Lake in Chicago. The hotel became the standard to which all hotels would want to reach at that time. Theodore was a pioneer. While things were beginning to look up for the Starretts, the same was not so for the Ingalls. Laura and Almanzo had not prospered at all in Florida, and decided to return to Desmet. In 1892, they moved in with Charles and Caroline until they could find a home to rent in town. During the days when Laura and Almanzo went off to work, and Caroline took care of her only grandchild, Rose, until she was old enough to go to school. Charles opened a dry goods shop in Desmet, but, the town was not big enough to support a third general store, so Ingalls & Co was shortlived. He took to liquidating his goods as a traveling salesman throughout the area before returning to carpentry fulltime. Caroline’s only grandchild, Rose Wilder. Caroline cared for Rose during her early years while her daughter and son-in-law worked. Caroline and Mary cared for Rose while her parent were away at work during the day. Laura had taken a job sewing buttonholes for a local dressmaker, Carrie was either working at the Desmet Leader or the post office, and Grace was in school. Caroline continued her strict chore schedule—wash on Mondays, iron on Tuesdays, mend on Wednesdays, churn on Thursdays, clean on Fridays, bake on Saturdays, and rest on Sundays. These specific chores were in addition to the set daily necessities of gardening, food preparation and cleanup, and general tidying up. In her free time, she read the Chicago Inter Ocean newspaper from cover to cover (they had a subscription), other books and magazines, knitted and crocheted, quilted, and did needlepoint. And, of course, she read from the Bible and sang religious hymns as Mary played along on her organ in the parlor. But life in Chicago moved at a much different pace from life in Desmet. It’s important to note that something magical happened in the Windy City during the 1880s and 1890s that would impact the Starrett family—and the world—forever. 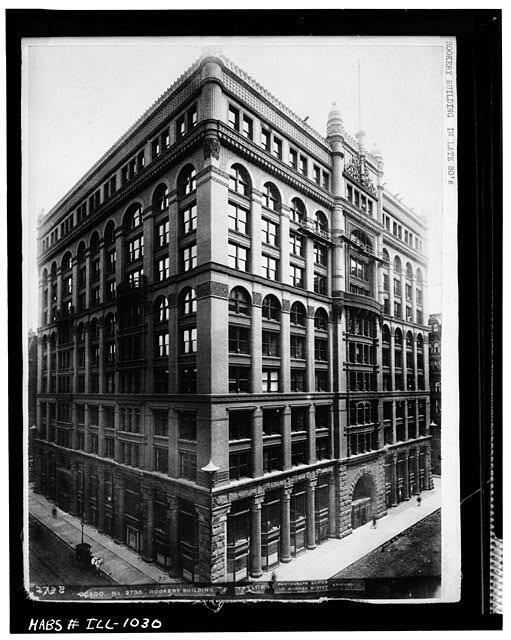 In the decades following the disastrous fire in 1871, architects and engineers in Chicago began experimenting with new construction techniques and materials. Helen’s boys were in the right place at the right time, and building was already in their blood. During Paul’s years job-hopping, he spent a term at a stenography school. Every day, he spent his lunch hour enthralled with the construction of The Rookery Building in downtown Chicago. It was exciting to Paul that his big brother worked for the company who was building the awesome new structure. In the late 1880’s, Helen’s second son, Paul, began experiencing health problems—problems he learned later were the early symptoms of tuberculosis. He was offered a job as a clerk at a ranch in New Mexico, so he went west in an effort to bulk up and recuperate in the warmer and dryer climate. For several months, Paul worked as a bookkeeper on the ranch and lived like a cowboy. But, Theodore had other plans for him. A few weeks after Paul arrived in New Mexico, his big brother sent him some drafting materials and a stack of old construction plans. There was an entry-level draftsman job at Burnham & Root waiting for him, and he needed to come back prepared. Once Paul was back in Chicago, it was all over. Paul the cowboy was destined for skyscrapers. 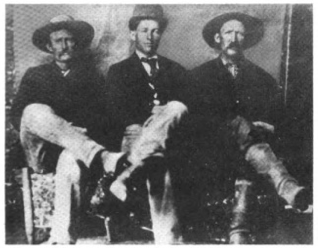 Paul Starrett (center) with some real cowboys in New Mexico. If Theodore hadn’t twisted his arm into coming back, America’s skyline would look quite different today (yes, that’s a teaser…. foreshadowing…) Photograph from Paul’s book, Changing the Skyline. This is the other little building that Paul superintended for Uncle Dan. It was the Mines and Mining Building. He said that he would go to the Fair at night, just to look at the beauty of the white buildings in the moonlight. 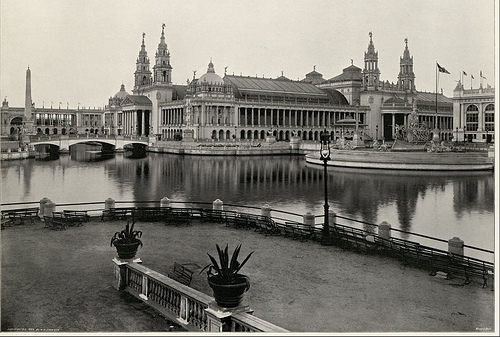 After 1893, he never participated in another World’s Fair again because he knew there’d never be another one quite as beautiful as this one. 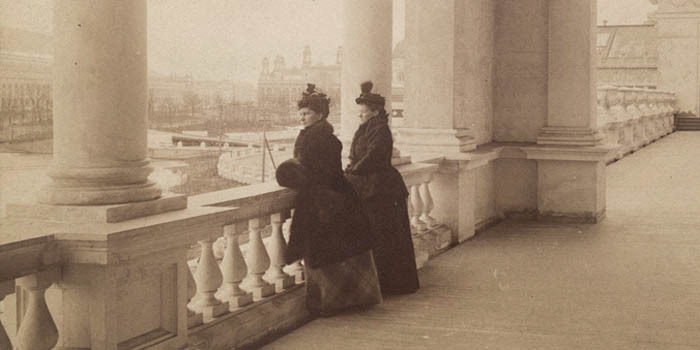 Two women stand outside on the balcony at the Women’s Building at the 1893 World’s Fair. Who knows? Maybe they attended Helen’s lecture? Paul wasn’t the only Starrett involved at the World’s Fair. 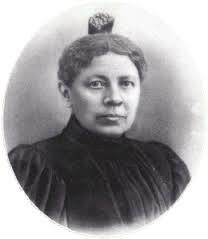 In 1893, Helen was a featured lecturer at the World’s Congress of Representative Women. Until that time, it was the largest gathering of women in history. Helen gave the “Address of Welcome” at the morning session on Friday, May 19, 1893 in Hall XXVI. Many of her old suffrage friends were in attendance at the World’s Fair, and it’s likely Helen attended their lectures and visited with them during the Expo. Progress didn’t slow Helen down at all. In late 1893, a fire at the Kenwood Institute prompted a split between Helen and her partner. 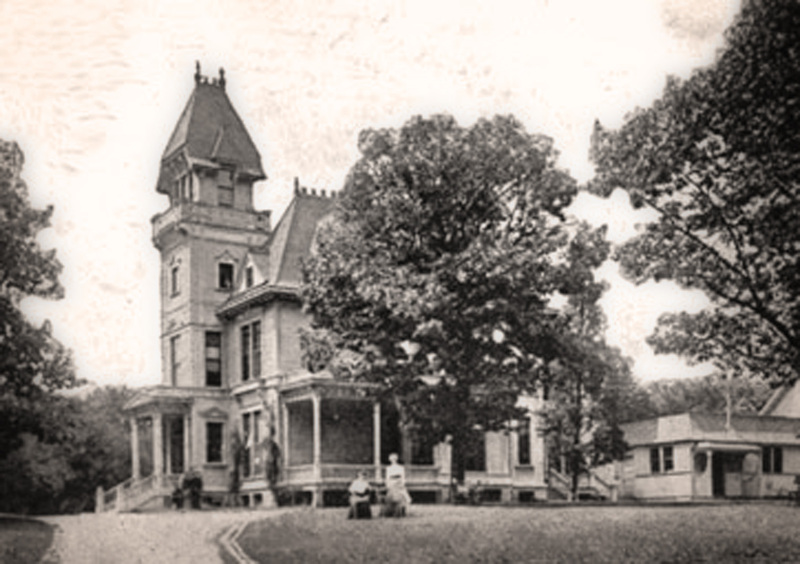 Miss Butts merged the Kenwood Institute with the Loring School, and Helen chartered the Starrett School for Girls, located in the historic Scoville Place Mansion. Within a year, the Starrett School for Girls was named “Best Preparatory School” by Kindergarten Magazine and other educational journals. She continued to grow the school, and still remained active with her lectures and social clubs. Her essays on social science, etiquette, education, and women’s rights were being published more widely, as were her poems and short fiction stories. She had several books published, became a special writer for the Illinois Women’s Press Association (and the organization’s second president). 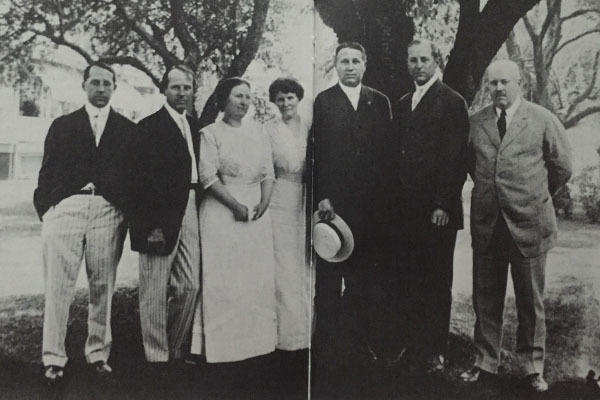 Before the turn of the century, all seven of Helen’s children were married, and she had eight beautiful grandchildren. Her children’s professional pursuits scattered them around the country, but as all of the Starrett children (or in Helen and Katherine’s cases, their husbands) were all in the construction business, their professions would bring them back together (on and off) throughout their lives. (In 1895, Helen had married this really cute guy her brothers had worked with at Burnham & Root. Back in Theodore days at B&R, he had a young assistant named Jim Dinwiddie. Jim went on to do great things with the Starretts, but Jim had this amazingly handsome little brother named Will who was just starting out in the construction business, aaaanndd…… Oh, back to my story…) Paul summed up his mother perfectly. Before Laura, Lamanzo, and Rose left for Missouri, Caroline gathered her daughters together for one last family photograph. She must’ve cherished this picture as it was the last time all of her girls were together with her as a family. Though the ugly side of the Gilded Age didn’t impact the Starretts in Chicago, the more rural areas—like Desmet—felt it much more deeply. By 1894, Laura and Almanzo decided that they were ready to quit South Dakota for good. They had saved enough money to leave for the last time. Rumors about plentiful opportunities in Missouri interested them, so once again, they loaded up their belongings into their wagon and left Desmet. Caroline knew this would be the last time her daughter and granddaughter would leave her home. Ever the proper, even-tempered woman she was, she remained the source of strength for her little family, and continued on into the turn of the century with life as usual. With little fanfare, the Ingalls entered into the 20th Century. 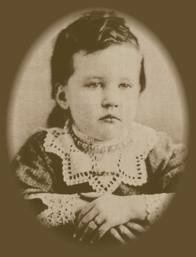 For more information on the photos of the Ingalls Family, visit the Laura Ingalls Wilder Historic Home and Museum Page. Since most of the images online are posted without an original source, it has been difficult to credit the rightful owner– thought I do my best to give credit every time. Special thanks to the Laura Ingalls Wilder Home (and their Facebook page owners!) who have been helpful in my research. Previous Previous post: I would’ve put a bird on it, but I couldn’t find the right address. Thanks Brenda! There will be at least one, maybe two or three more parts to the series. Feel free to share! Could your retelling possibly be more vivid? Nope, I don’t think so! Beautifully done, Julie. Thank you!!! Now I’ve got to get my nose to the grindstone for the next part!